When we are seeking for the best Windows(WIN7,WIN8,WIN XP) backup software, we would choose products that are dependable yet very easy to use. The data each person stores on their computer is different, so you need to choose data backup software that meets your specific needs.Backup Cow is a simple,reliable and secure software which can meet all your needs. It is no worse than the computer shut down or there are some malfunctions in your PC.You need to backup your data to another computer in a fast and simple way.However,you may not backing up your files regularly.You may found some backup tools can not backup files in a specific time or it will auto stop backing up!This kind of backup solution does not make sense !See?Not every backup tool is reliable and secure.Take USB and hard drives as example. You can do a lot to protect these files of course, but sometimes hard drives do fail. In those moments having a backup is crucial. PC owners have a wide variety of options when it comes to backup software. We have documented most of them in the past, but they had never been compiled in a single list. It’s always easier to figure out what you’re interested if everything’s in one place, so without further adieu I give you the top ten free PC backup solutions. 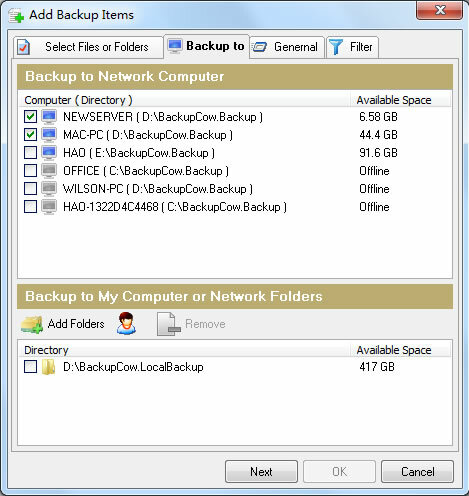 ----Backup Cow software has two parts ,they includes P2P Suit and Private Cloud Suit. 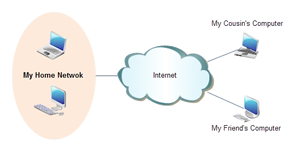 ---- Transform network computers to be a private cloud. 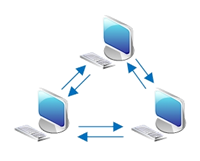 All computers running the Server program will automatically connect together to be the cloud storage. How to backup to another computer on the network? Step 1: Click "Add Backup Item" button on "Backup" section. Step 3: Select the network computers you want to back up to. 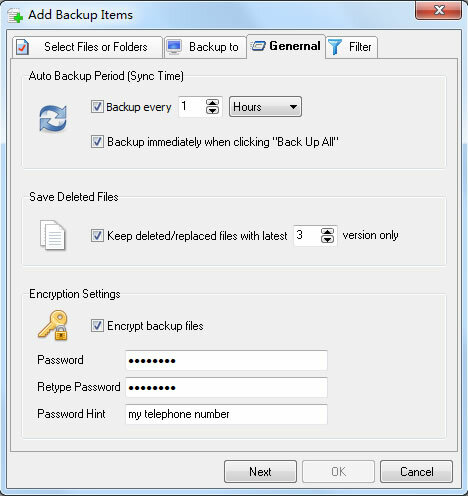 Step 4 Set Synchronization, Save Deleted Files and Encrypt Backups in "Genernal". 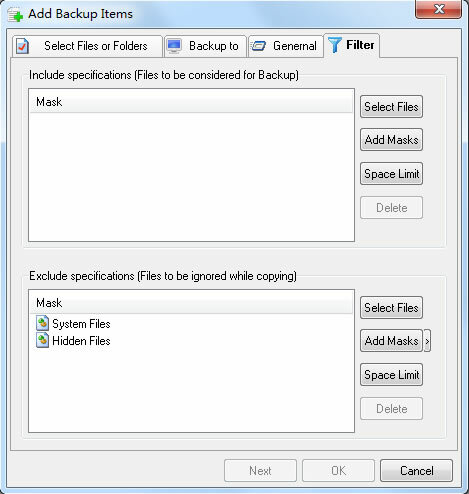 Step 5 Filter files to be considered for Backup or to be ignored while copying. 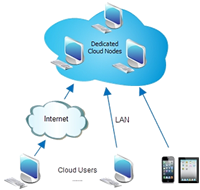 ----You just need install the server program on each computer that will be a cloud server, then all these servers will connect together automatically to be the in-house private cloud. Why you need Backup Cow? Files can be lost from your computer in any number of ways—you might accidentally delete a file by mistakes, or a virus might wipe one out. You can also have a complete hard drive failure. When a hard drive broke , it's kind of like having your money was stolen by thief. Important personal items are usually gone forever—travel photos, significant documents, downloaded music, or something else. Thankfully it has a really simple process these days to back up your content within seconds, or remote locations. By Backup Cow, your files can be protected against viruses or complete computer failure. This makes it easy to restore and place them on a new hard drive and get going again.If you are still looking for a dependable and simple way to backup,get started with Backup Cow!